*buzz buzz buzz* It vibrates on the mattress next to me. wakes my daughter who was sleeping peacefully next to me. “My juice! My juice! My juuuuuuuu-iiiice!” She swats at my hands and we play tug-o-war with the one thing I need right now. She loses and as I pull it away and begin to ingest the too-sweet apple juice, I learn something new about her. She is a sore loser. The wail rises in intensity and swirls furiously out of the bedroom and into the rest of the house. John opens the door to an awkward tableau of his two girls, fighting over a tiny juice box. I am not two-years-old like my daughter, but I am unfocused and beginning to panic. John recognizes the shake in my voice and the inability to look him in the eye. He scoops our munchkin up in his arms, holding her close as they walk off to the kitchen. I hear the refrigerator door open and slam shut, rummaging in the pantry, and a scared, little voice saying: “Mommy sick? Mommy need medicine?” John reassures her that everything will be fine, as I am shaking and cycling through crazy ideas while not being able to move. The familiar sound of a plastic straw wrapper being removed shakes me out of my stupor, then my hand is wrapped around the box and more juice floods my mouth. I am not fully coherent when I push buttons on my pump to set a temp basal. Three hours at 20% would prevent me from dropping into the low vortex again, I silently mumble. If I had waited, I wouldn’t have made that calculation, deeming it inadequate and idiotic for the amount of carbs I just ingested. I don’t hear the Dexcom for the rest of the night. It’s shoved under the pillow. The occasional alarms going off are handled by my phantom hand pushing the button. Usually, I’ll push a little insulin when I’m over 180, but I am wrung out and let it ride. It rode off into the sunset, or in this case, sunrise. My eyes close and I search for just a few more minutes in that hallowed space, where I am whole and perfect. I can’t find my way back. You are such a good storyteller. She won’t let me have my juice! Yuck. Those kinds of nights/mornings drive me nuts. The other thing that drives me nuts? Having to get up to pee after consuming all the juice. Oh, what a great post – though sorry you were on the glucoaster, Christel! 🙁 Like Katy, I really enjoy your story-telling – always makes me want to read, no matter the subject. Really thought it was interesting that you noted your daughter doesn’t yet know the numbers, but can recognize the color Red is bad on the Dex – intriguing point about how great that color feature is on the new G4. Anyhow, thanks for sharing this. Glad there were more juiceboxes in the house, too! Too funny – well now it is. 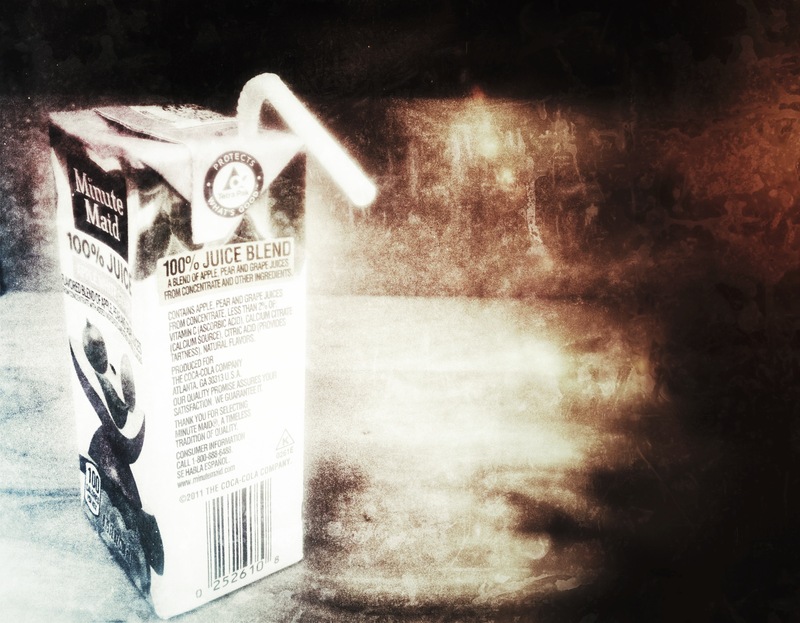 I cannot imagine arguing with anyone over MY juice box in the dark of the night. Glad you held on to it!